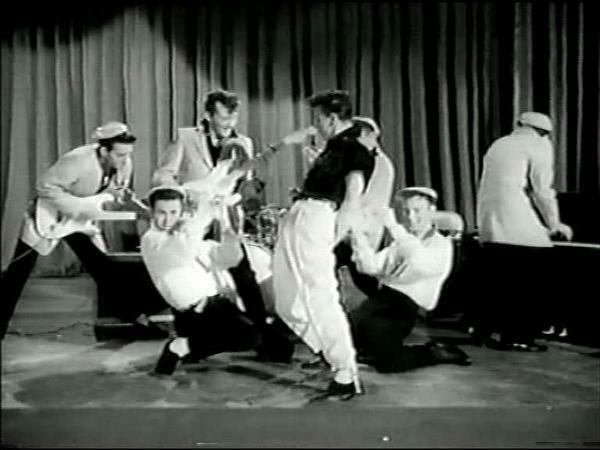 Gene Vincent & The Bluecaps. . Wallpaper and background images in the Rock'n'Roll Remembered club tagged: gene vincent & the bluecaps 50s rockabilly hot rod gang movie. This Rock'n'Roll Remembered photo might contain concert.